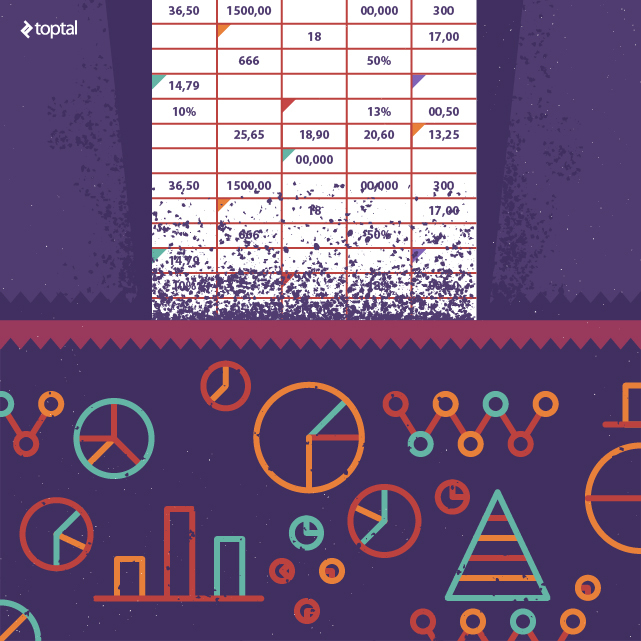 When dealing with data analysis, most companies rely on MS Excel or Google Sheets. While those are powerful tools, it’s difficult to notice trends, much less make any sense out of large rows of spreadsheet data. 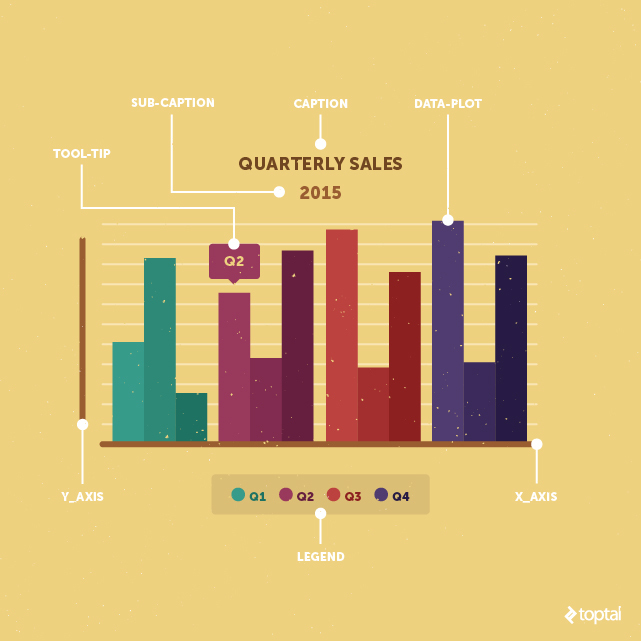 Dealing with data presented this way isn’t very interesting, but once you add visualization to that data, things become easier to manage, and that’s the topic of today’s tutorial – making interactive charts using jQuery. The term ‘data plot’ is contextual; it refers to a column in a column chart, lines in a line chart, pie slices in a pie chart. By clicking on a data plot from the parent chart, you are presented with a child chart, showing the relative data one level deeper. 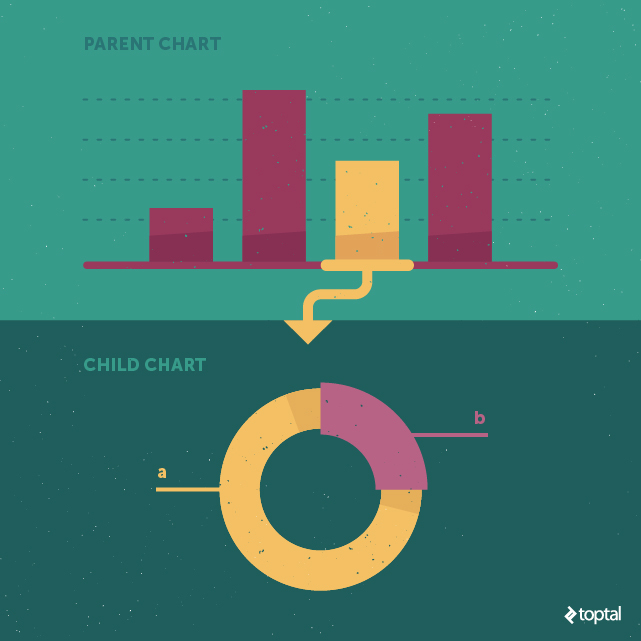 Clicking a data plot on the parent chart will bring up a child chart. Caption: The title on the chart. It explains what is being charted. Sub-caption: The text beneath the caption specifying additional chart information, oftentimes it states a timeframe from which the data was collected. Legend: This displays a symbol for each data plot on the chart. A particular plot can be enabled or disabled by clicking on its respective legend icon. Data plot: These are data representations on the chart. A data plot can be a column in a column chart, lines in a line chart, or pie slices in a pie chart. Tooltip: Text that appears when you hover over a data plot, used to convey additional information about that particular data plot. Before we start, here’s a screenshot of the chart we will be making in this tutorial. You can see the JSFiddlehere or access the full source code of the project on my GitHub repo. I have divided the process of making a drill-down chart into five steps, so let’s get started. Note: If you have more than one chart on your page, you will need a separate container for each chart with a unique id. type defines the type of parent chart we are plotting. In this case, column2d. Every chart in the FusionCharts library has a unique alias. You can find the alias for the chart you want to plot on FusionCharts’ list of charts page. id sets the unique id for the chart, not to be confused with the id of the <div> element containing our chart. A chart’s id is used to select a chart for applying event handlers and calling methods. We will make use of this in Step 5.
width and height set the dimension of the chart in pixels or percentage. 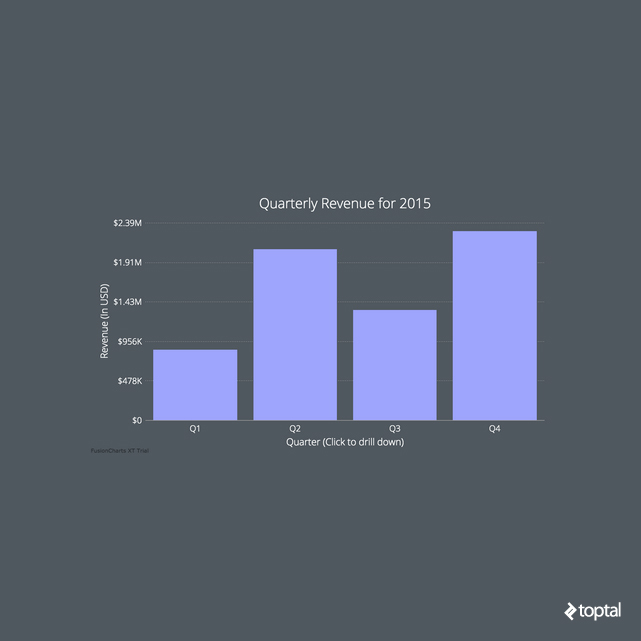 100% width tells the chart to occupy the full container width. We define the data format using the dataFormat attribute. We are using JSON for our example but there are other acceptable data formats as well, such as an XML URL. To learn more about data formats, refer to FusionCharts’ official documentation page. dataSource contains the actual content of the chart, and the chart object inside it contains the chart’s configuration options, such as caption and subcaption. The data array should look familiar since we made it in Step 2 (it contains the data to be plotted), and linkedData contains the content for the child-chart (the chart you get after you click a data plot on the parent chart). id is the id of the individual child chart that we defined in Step 2. linkedChart is similar to dataSource from Step 3 in that it contains the actual content of that chart. There are numerous other attributes that go inside the chart object, which I cover in detail in the later section, “Improving Design with Chart Attributes”. So far, our sample code has both the parent and the child charts sharing the same chart type. If you want to drill-down to a different chart type (from column to pie, for example), you do so by binding the fusionchartsrendered event. In the code above, the fusionchartsrendered event will call the configureLink method, which defines the type of all child charts plus any overlay button options. You can also specify separate chart types for each child chart. There are a lot of options available in the configureLink method, so you might find it useful to review its API reference documentation from FusionCharts. The value given to the renderAt attribute specifies the id of the <div> in which the child chart will render (chart-container2). paletteColors defines the color of the data plots. If you give a single color here, all the columns will be that color. If you give multiple colors, the first column will take the first value, second column will take second value, and so on. plotSpacePercent controls the space between the columns. The default value for this is 20 (the value is an int, but the unit is a percentage) and the allowable range is 0-80. A value of zero will make the columns bunch up and stick to each other. baseFont defines the font family of the chart. You can use any font you like; I used Google’s Open Sans in my chart. Simply include the external font file in your HTML page in order to use it in your chart. "plotToolText": "<div style='font-size: 16px; text-align: center;'>$label: $dataValue</div>"
theme allows you to define your chart attributes in a different file and apply them once here instead of cluttering your chart object with numerous chart attributes. You can find the theme file for this tutorial – toptal.js– inside the JS folder of project’s GitHub repo. That’s all I’m going to cover, but there are more than a hundred attributes for a chart, so if you want to explore further, please visit the FusionCharts’ chart attributes page and search for your particular chart type. jQuery charts plugin: For inspiration, visit the official jQuery charts plugin page to see some live examples. Documentation: If you’re unable to figure something out, documentation is the first place you should look. Here are handy links for the jQuery plugin and the drill-down chart (also known as linked charts). Demos: Every charting library offers live samples to showcase its capabilities, and FusionCharts is no different. Head over to its demo gallery of more than 800 live samples, with full source code if you need some ideas. There is a good chance that whatever you are trying to make is already available. No need to start from scratch; just fork the fiddle and proceed from there! PS: I will be hanging out in the comments section below, so feel free to post any questions you might have about my article. I’m happy to help! 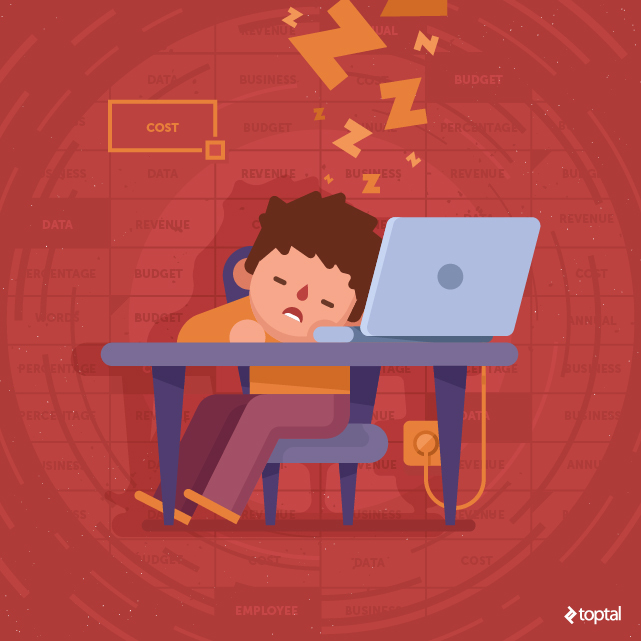 This article was brought to you by Toptal.